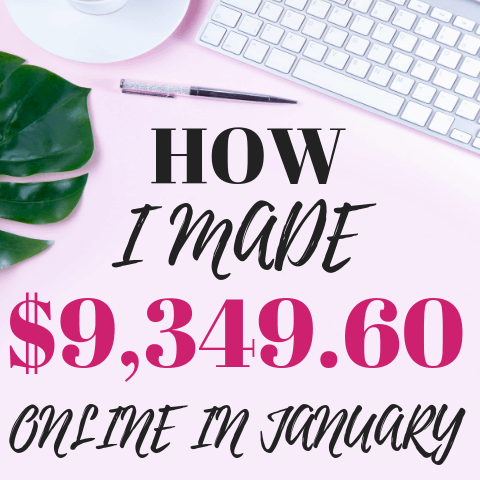 Don't hate me...I am just getting to my February blogging income report!!! At least it's up now, right?! Every month (well...I try haha) I share how much money I have made through my blog. If you don't know much about me, I am a junior in college studying interior architecture. I've had this website since I was 17 but basically restarted the whole website in September 2017 (when I was a sophomore in college) in hopes to generate an income from it. The screenshot below is the exact money deposited into my account (with all the important info blocked off ). Some companies deposit into Paypal and then I transfer into my personal bank account. Okay, here's the problem I have with how I've set up my income reports in the past. The money I make blogging almost always takes three months to hit my bank account. For example, I actually made this $6,000 dollars in November but it just hit my bank account in February. I've done my blogging income reports so I share the money with you once it HITS my bank account to be able to prove I've made that money. But, there's an issue with that. I made that money three months ago and I don't remember exactly what I was doing with my blog that long ago! So next month on I've decided that I am going to be sharing my income I earned that exact month. It won't have hit my account yet when I share it but I'll be able to explain what I am doing way more accurately than before. If you want proof, I'll update the income report three months later with a screenshot 😂. My blogging expenses are very small right now but last month they increased. Why?! Because I opened an online store (whoop whoop!! 🎉🎉🎉) and it was way more expensive than I thought. Probably my most expensive month I've had blogging so far TBH. But at this point in the game, I am making enough money where these expenses make sense. 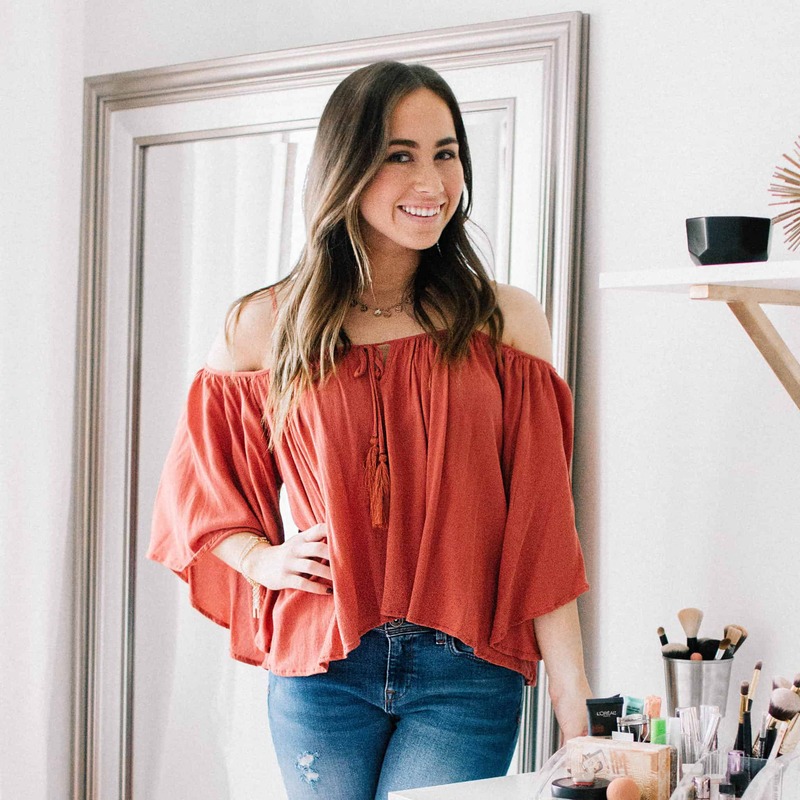 I try to pay for all my blogging expenses annually so I don't have to pay them monthly and it saves me some cash because the companies offer me better deals. Right now for a recurring monthly expense I have Convertkit (email provider) which costs me $79.00 a month. This went up because I increased my email subscribers by a lot (good thing I guess!). Last month I worked hard and played hard . I had the genius idea to take TWO spring breaks this year. One with my college girlfriends and one with my family. Let's just say I was stressed beyond max and cursing myself out for thinking I could miss that much of school. Even with all of that going on I managed to open my store and release my first product!!! This has been on my goal list for MONTHS! I poured myself a big glass of malibu and sprite the night my website went live and nervously checked my phone 24/7 scared half to death that it was going to be a total failure! Wellll, I had over 200 sales in two days! OMG! I actually didn't really make that much money on it yet (around $200 in two days...then it turned April haha) because I had everything go out for free. My goal with putting it out for free is to build up reviews so that people will have more reliable feedback and want to purchase it for actual payment. The reviews were so nice I almost cried 😭. My boyfriend's dad was joking with me that all the reviews are from my family members because they were so nice hahaha. The lowest review I got was three stars and the comment was "Awesome" so I guess I'll take it 😂 . Not much to say about this other than I decided to open my store on Shopify! I researched this a ton and decided it was the best option for me. I am planning on at least one new paid product go out every month and have a new free product put into the store every week. I am in the process of getting rid of my resource library and having all my free products uploaded to my store. You don't need to put in your credit card if the product is free and I think it's just a way better visual experience. If my subscriber list begins to decrease I can always go back to my resource library but I am going to test this out for a month or two! Like I said, I am in the total testing phase of the store!!! I want to see what works and doesn't work before I have my largest amount of traffic in summer. 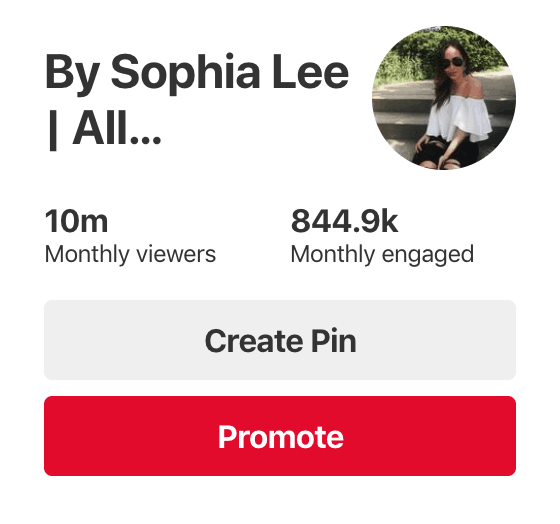 My Pinterest went up to 10 MILLION month viewers!!!!! TBH though, your monthly viewers really mean nothing. Mine have fallen now (it's 4/4 when I am writing this) and my monthly views have fallen to 7.2 million but I am getting more actual blog page views than when I was at 10 million. Who knows but nonetheless I was pretty dang excited! I am taking a new approach to my website and am trying to give as many freebies as possible. It will mostly be printables but my goal is for me to increase my email subscriptions and give as much value to my readers as possible. Like I said above, I am trying to give at least one free thing to my readers per week. I am also testing this out because honestly, who knows if this will even help! I'll report back to you next month or in two months on this one! 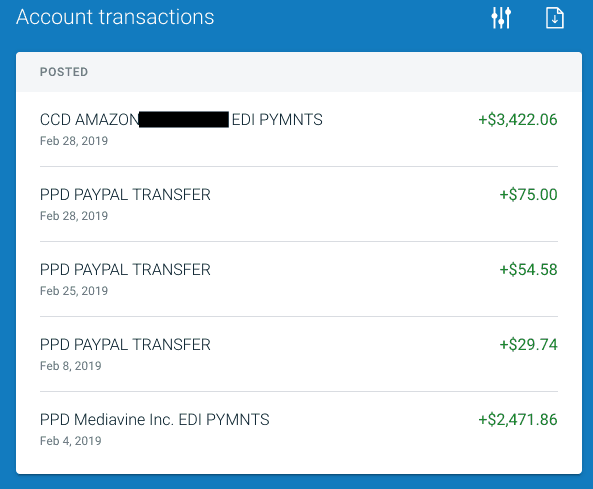 My last income report I had 2,493 subscribers and as of today (4/4/2019) I have 5,507. EKK! I am happy with that 🤩. Next step: 10,000 subscriber mark! If you read my blogging posts, you know I am obsessed with planning my content out in advance. I am a huge planner (with everything I do...school, social life...it's almost to an annoying point haha) and I just FEEL better when I know what's coming up. I have not been ahead on blog posts in forever but this is the month I am going to do it. I hired two super sweet girls to help me with my website so I am increasing the amount of posts going up every week. So far, I have three blog posts per week planned until the end of June! Those posts are not written yet but I am trying my hardest to get at least a month ahead on everything. I have such a hard time with this because I will randomly have a super hard school week and I have to put blogging to the side (unless I want to fail out ) and it always ruins my blog plans. If I am a month ahead, it won't screw anything up since I already have all my posts planned. Honestly, the fact that I was able to make $9,000 in one month from my blog is CRAZY but then to be able to make $6,000 the month later is EVEN BETTER!! Why?! Because honestly, I thought my $9,000 month was going to be a one hit wonder type of thing. I had NO idea that I would make $6,000 the month later. TBH, I was planning that it would be around $2,000. PS: I am going to have to update this chart next month because I have this set for when it HITS my bank account. Next month, all of these totals will be moved up three months (aka the $12,000 I have planned for Jan will be moved to October and so on). February and March: $4,000 in February (HIT THIS & Went over by $2,000!) and at least $6,000 in March (nope! Around $4,000 hit my bank account in March. I had an affiliate payment hit my bank account in Feb that I thought was coming in March so that's why). I've been trying to make that dang top bullet point black for five minutes now...giving up!!!! 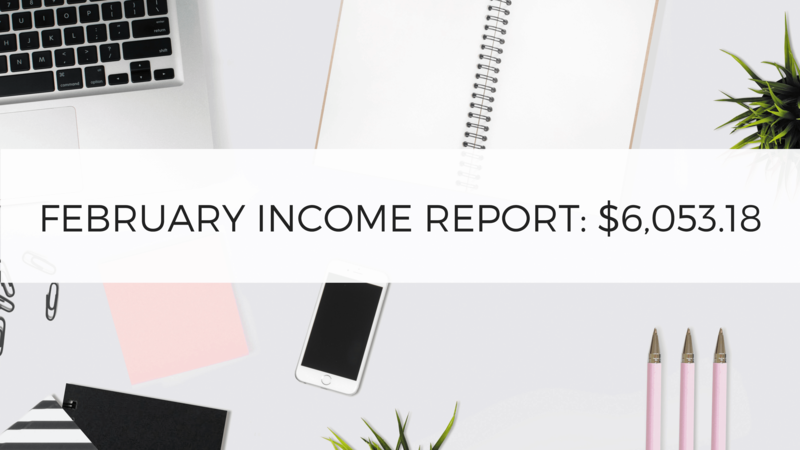 I hope you enjoyed February's income report! FREAKING GOALS GIRL!!! THIS IS AMAZING AND I WANT TO BE YOU! !